This new edition of RICK REMENDER and WES CRAIG’s DEADLY CLASS, VOL. 1 features a media tie-in photo cover with key imagery from the highly anticipated SYFY series-coming in 2019 from Executive Producers the RUSSO BROTHERS (Directors of Avengers: Infinity War)!! 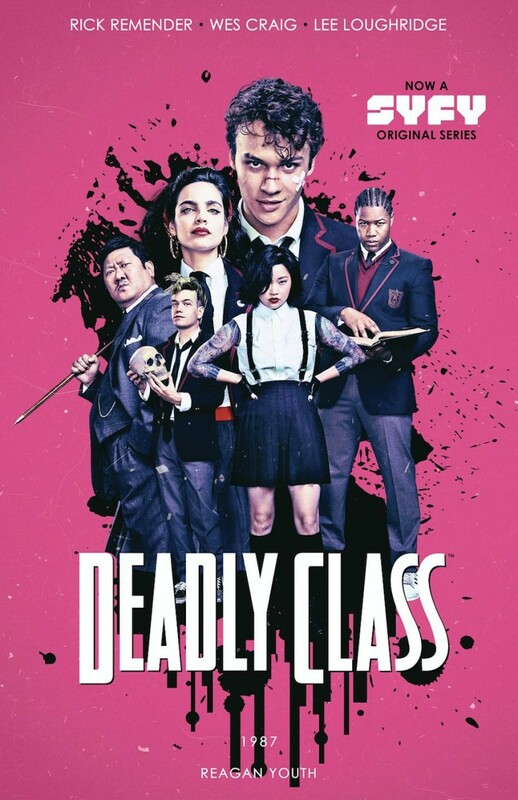 ‘DEADLY CLASS is a solid read for those who want a combination of MARK MILLAR’s WANTED and Harry Potter with GARTH ENNIS’s (Preacher) style.’ -Library Journal (Starred Review) Welcome to the most brutal high school on earth, where the world’s top crime families send the next generation of assassins to be trained. Murder is an art. Killing is a craft. At Kings Dominion School for the Deadly Arts, the dagger in your back isn’t always metaphorical.